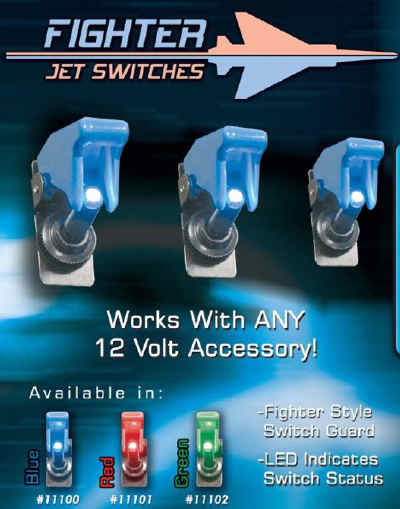 The LED Fighter jet switch features a Fighter style switch guard, and a self illuminated LED indicating the switch status, on or off. Available in 3 different colors(blue, red, green), Order yours today! All necessary instructions and hardware are included to ensure a smooth installation. The LED Fighter jet switches are ready to go right out of the box and include the PlasmaGlow Lifetime Warranty!